So how's THAT for a challenge name? Make your best music-themed card and link us up at Caardvarks for our Name That Tuna challenge by midnight on September 3rd. 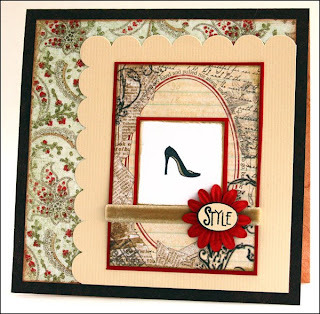 The winner receives a $25 gift certificate to Scrapbook Express where I DT! 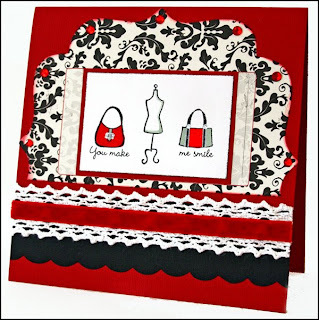 Heather stocks the latest and greatest scrapbook, die cutting and stamping supplies fresh from CHA. It amazes me how quickly the new goodies end up in the store. Check it out! I made two completely different cards for this challenge. The first one features more alcohol inks and some really old (but cool!) stamps. The second card is definitely more soft and cuddly with mister conductor mouse. 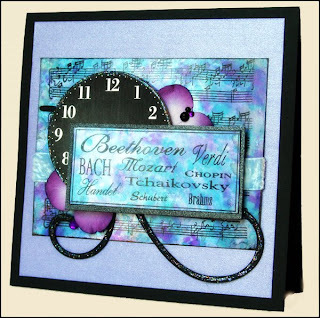 I have been having a lot of fun with Cuttlebug embossing folders lately, too, and this card was the perfect chance to show off the music folder. Click each image for a closer look. You can see the details for both of these cards here. 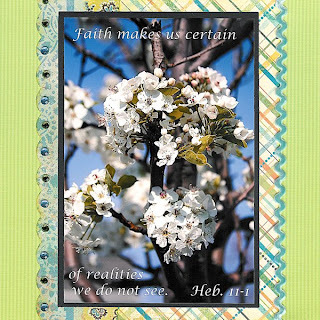 I got an awesome email from Deb Damboise of the Say It With Letters blog that I'll be guest designing for them this fall. I'm so excited! I have had a chance to work with Deb's products earlier this year for SAR, so I'm really looking forward to seeing what she has in mind for me. Thanks for this opportunity, Deb! My friend Kristine and I are starting a Faithbooking group at our church. As it turns out, the women we have talked with have a much wider scope of interest in terms of crafting. I think our group is going to include knitters and sewers as well as papercrafters. I'm excited to get things started soon. Here are some projects I made as examples. The layout above was inspired by a Norwegian scrapper named Ingvild Bolme. Check out her blog here if you get a chance. Her work is amazing! 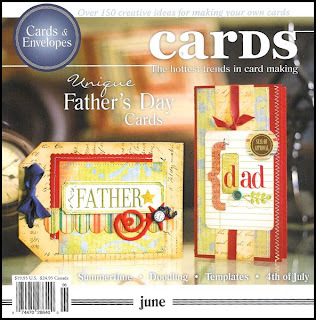 I finally landed a publication with Cards magazine. 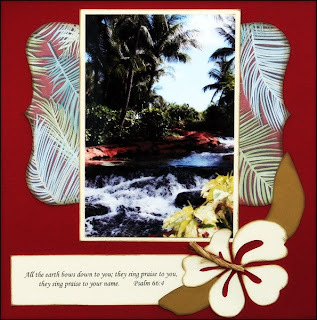 As a long-time cardmaker, this was a little dream of mine. 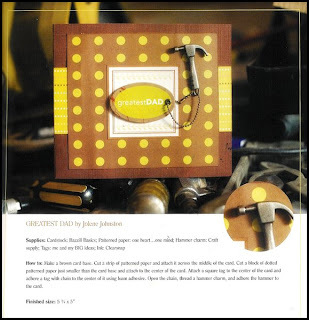 I made a batch of Father's Day cards for some DT work with Scrapbooker Online, and I saved one to sub. They took the card shown below which I really loved. Click for a closer look. The little metal hammer came in a RAK from another site nearly a year ago. I was thankful for its simple charm when I assembled the card. I love how the editors also displayed the card on a workbench of tools, very clever! I was finally able to give this to my husband for Father's Day, just a little late. Details for this card are here. 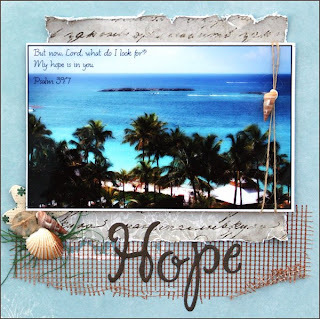 I'm working my way through the Viva Vacation challenges this month at Scrapbook Express. 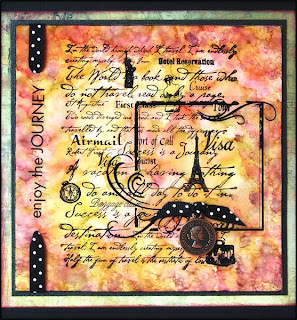 Here's a card I made using glossy cardstock, alchol inks and blending solution, stamping and other embellishments for the Destination Paris challenge. I really love how it turned out! Join us for the fun and games this month. You'll be glad you did! So what's in your closet? And more importantly, how can you use it on a card? The From Your Closet challenge at Caardvarks lets you show off your sense of style. 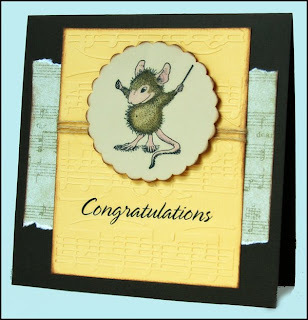 Make a card and link it up to 'Varks by midnight on August 17th to be eligible to win an August kit from My Scrapbook Nook. Details for my cards can be found here. Don't forget to stop by Scrapbook Express for our month-long "Viva Vacation" challenges and games! Join us at (Some) Assembly Required this month for projects all about beads. 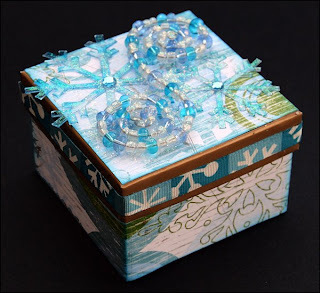 August's challenge is to use beads in your altered project in some way. You may create and/or alter the beads themselves, or you can simply use beads in the creation of your altered project. Email us a photo of your finished creation or leave a comment with a link to your blog or gallery by midnight Sunday August 31st. The winner will receive a lovely prize pack from SAR. Be sure to check out the Beads Gallery for some beadazzling inspiration! Details for my beaded box are here.